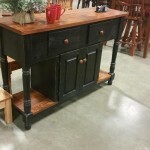 Being based in North Carolina, we are right up the road from some pretty impressive furniture makers. 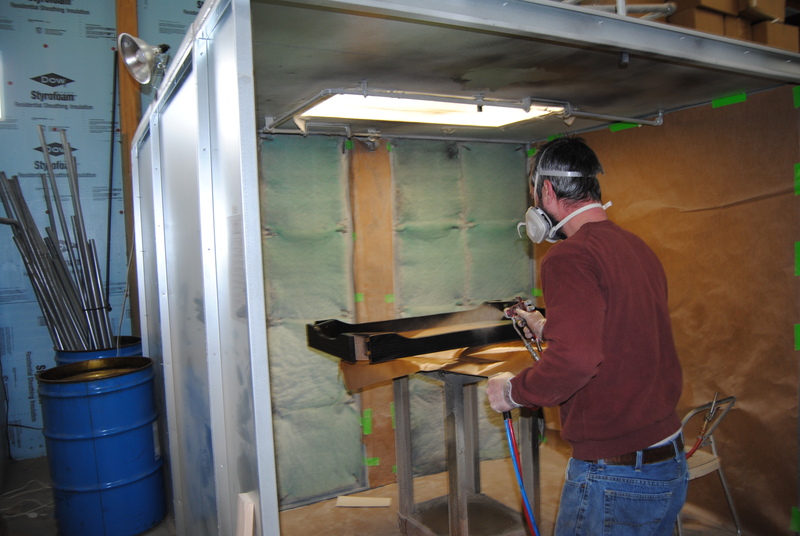 “Furniture Market” is a HUGE thing around these parts and a lot of furniture makers use spray booths to apply the finish to their products. Back in November, I had the great privilege to meet Tanya Miller at the Carolina Christmas Classic in our hometown, Greensboro, NC. She along with her husband Josh, own and operate Oak Craft Inc. out of Brockway, PA. 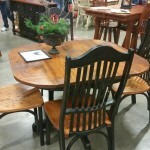 They specialize in handcrafted red oak and cherry furniture that is made in many popular styles. 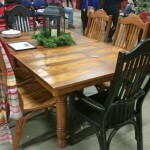 I took a few pictures of the quality craftsmanship after visiting with Tanya at the show. 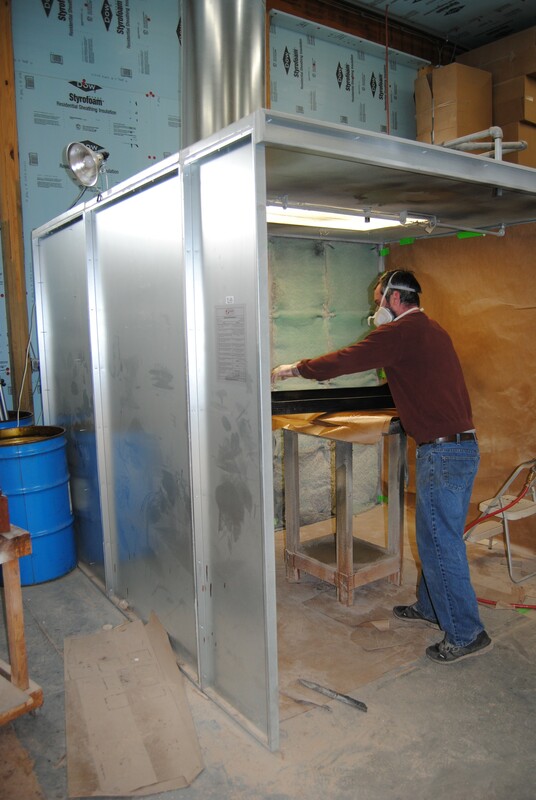 I first met Tanya over the phone in the spring of this year when she called inquiring about needing one of our paint spray booths for their shop, a furniture spray booth. During our conversation in April she shared that she would actually be in Greensboro for the Christmas Classic in November. I love getting to meet some of our customers face to face whenever I can and this was a great opportunity. 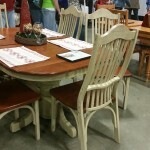 After admiring their beautiful kitchen tables and servers that they had on display (see pictures of those below), we talked a bit about the furniture spray booth she purchased and how it was working great for them. She was kind enough to share her pleasure in doing business with us and especially how easy it actually was to get the booth chosen, delivered and installed just like we promised. A satisfied customer encourages us in our mission. We exist to deliver excellence to the automotive and painting industry…every customer – every product – every day. If you are in need of a quality and affordable paint booth to make your business better, give me a call. 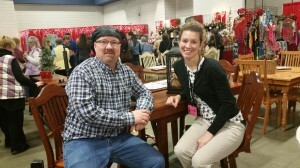 If you are looking for some really high quality, hand crafted furniture for your home, call Tanya and Josh. Whichever phone call you make, you won’t be disappointed.